The Ford F-150 is getting a redesign for 2018 that includes a new grille and more powerful engines to put behind it. Along with the updated 3.5-liter turbocharged V6 (375 hp, 470 lb-ft) that was introduced this year, the 2018 model will be available with an all-new entry level 3.3-liter V6, plus reengineered versions of the F-150’s 2.7-liter turbocharged V6 and 5.0-liter V8. Although it’s smaller than the engine it replaces, the 3.3-liter’s 290 hp and 265 lb-ft mark increases of 8 hp and 12 lb-ft and are expected to be accompanied by a fuel economy gain when the trucks go on sale this fall. The 325 hp 2.7-liter has been tweaked to develop 400 lb-ft for a 25 lb-ft gain and will be mated to a new 10-speed automatic transmission. That’s the same torque rating as the V8, but you get it at a lower engine speed in the 2.7-liter. The 5.0-liter features a new direct and port fuel injection system, 395 hp and also comes with the 10-speed. 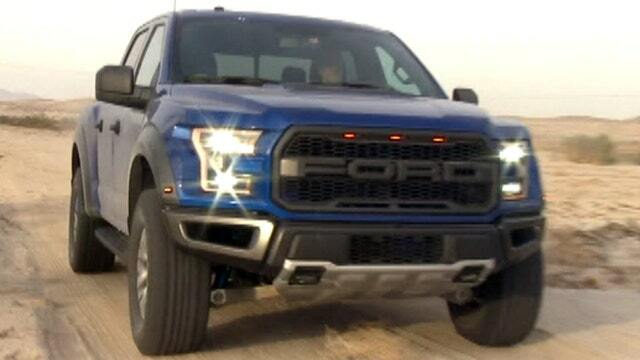 Auto stop-start will be standard on all F-150s, including the high performance Raptor which does not get a power bump for 2018. Since its twin-turbo v6 already has 450 hp and 510 lb-ft, it really didn’t need it. Yet. Later in the model year, the F-150 will be getting its first diesel engine, but the output of the 3.0-liter turbocharged V6 has not been revealed.